Your roof won't last forever, but do you know when it's time to call a professional roofer? There are signs of trouble you can look for. If you're diligent and check for problems early, you may get more life out of your roof and avoid expensive repairs. A roof made of asphalt shingles will last about 25 years; a roof made of tiles and slate will last longer. If you moved into a house right after it was built, you know how old your roof is. When you purchase a house, ask how old the roof is. If you're not sure of the roof's age or your roof has been around over 20 years, call one of the professional roofers in Sandy Springs to inspect your roof for any problems. On a bright sunny day, go to your attic and check for any sunlight shining through the roof. If you see light, you have a problem. If you don't see light, but the attic seems unusually light, your roof may have become thin from wear and tear. Call a roofer to see if it's time for some repairs or a new roof. By acting fast, you can get the problem fixed before the wood underneath the roof is damaged. If you look at your roof and notice a portion is sagging, you have a serious problem. The damage is not just to your roof, but to the structural support of the roof. You not only need a new roof, but you may also need new rafters. A heavy storm could cause a portion of your roof to collapse. Call a reputable roofer to dismantle the roof, add a support system, and install a new roof. You may see green patches on the roof of your house. The growth is probably mold and moss. You can clean the mold and moss from the roof, but that won't fix the problem. 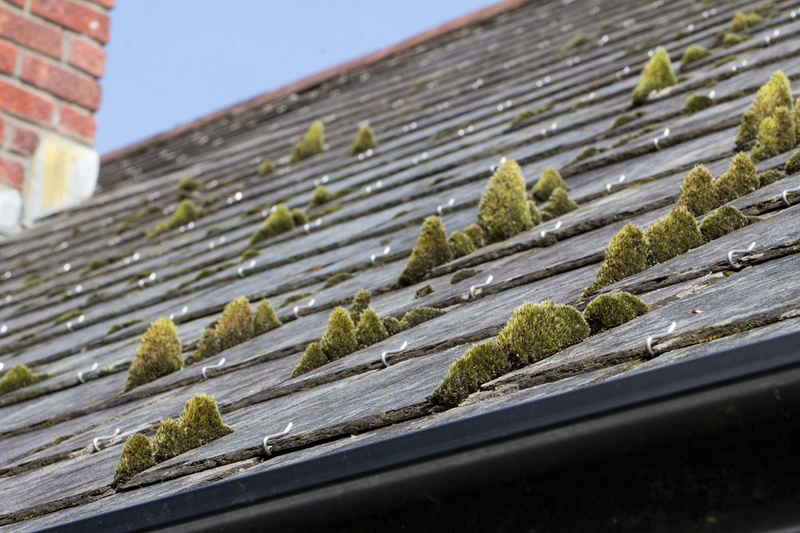 The mold and moss are signs that the roofing material is beginning to rot. Call a professional roofer to see if it's time for a new roof. The roofer may suggest a different material for your next roof to prevent decomposition of the roof. 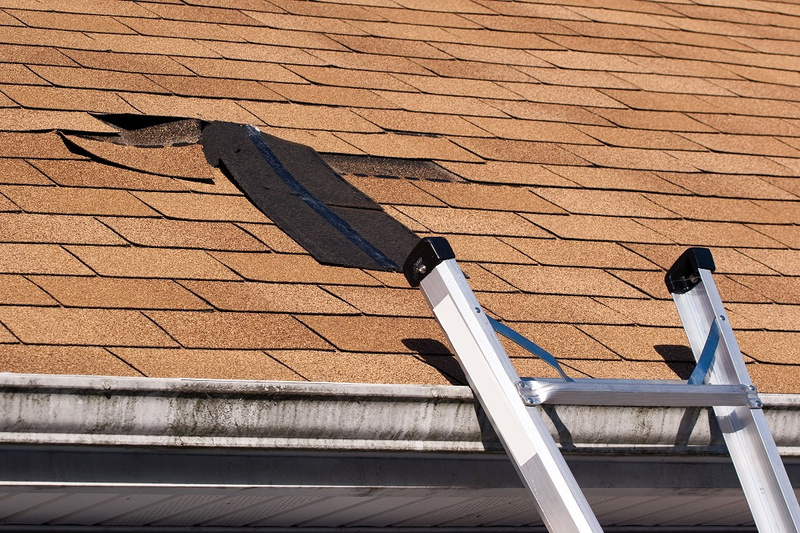 You may notice a loose shingle on your roof, or you may find a shingle in your yard. Rather than risk injury to yourself, call a roofer to repair or replace the loose or damaged shingle. Getting the roof repair done quickly will prevent further damage to your roof. If you don't act, heat or water damage could erode the underlying support system of your roof. You should have your gutters checked at least annually for debris, such as leaves, that can block the flow of water from your roof. If the person cleaning your gutters sees granules in the gutter, you have a problem. The granules protect the shingles on your roof, so if the protective layer is deteriorating, your shingles are subject to damage from storms and heavy rainfalls. You may notice a damp spot on your ceiling. Don't wait until you have water entering your house to call a roofer. Have a professional roofer diagnose the problem and make the proper repair. Don't risk further damage to your roof and ceiling. Call Superior Roofing Company of Georgia for roof repair and replacement. Get fast service from qualified professionals using top-quality materials.